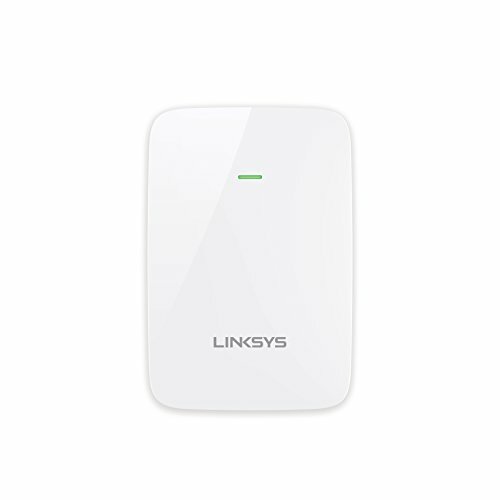 Eliminate dead zones and Boost Wi-Fi from your router with the Linksys AC1200 Wi-Fi range extender (RE6350). with AC1200 Wi-Fi speeds (N300 + AC867 Mbps), households will enjoy fast, uninterrupted Wi-Fi indoors and Outside it features spor Finder technology and WPS for simple setup and optimal placement in relation to your router. It works with all Wi-Fi routers, including those from service providers, to deliver uninterrupted streaming, online gaming, and seamless content sharing.